SuperSpeed USB is one of most highly anticipated standards in several years. At 10x the data rate of USB 2.0 and with new requirements like CTLE (continuous time linear equalization) and reference channels, SuperSpeed USB will pose new challenges to implementers. 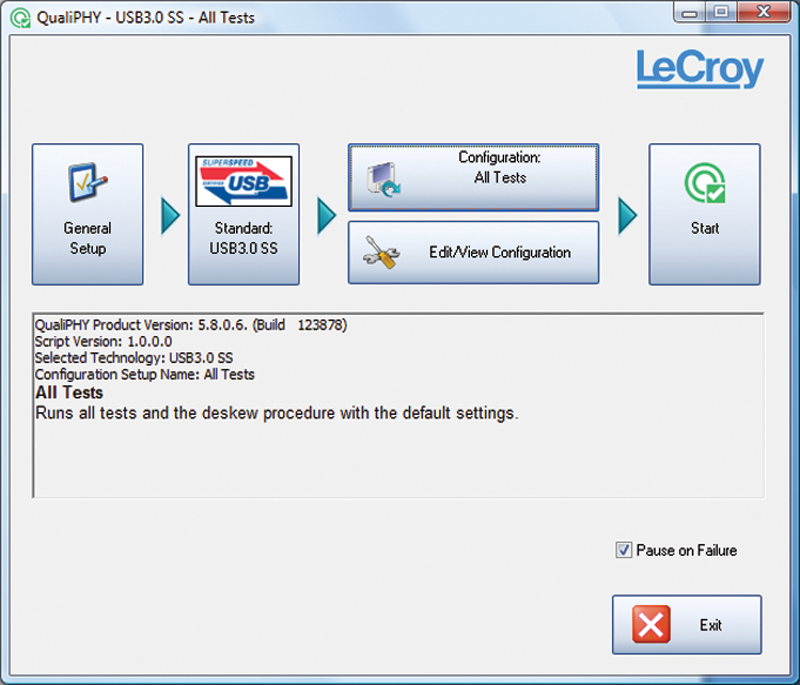 QPHY-USB3-Tx-Rx is an automated test package for SuperSpeed USB compliance testing. It provides connection diagrams to ensure the proper setup for the required measurements, automates the oscilloscope for performing these measurements, and provides a comprehensive report of results including screenshots. 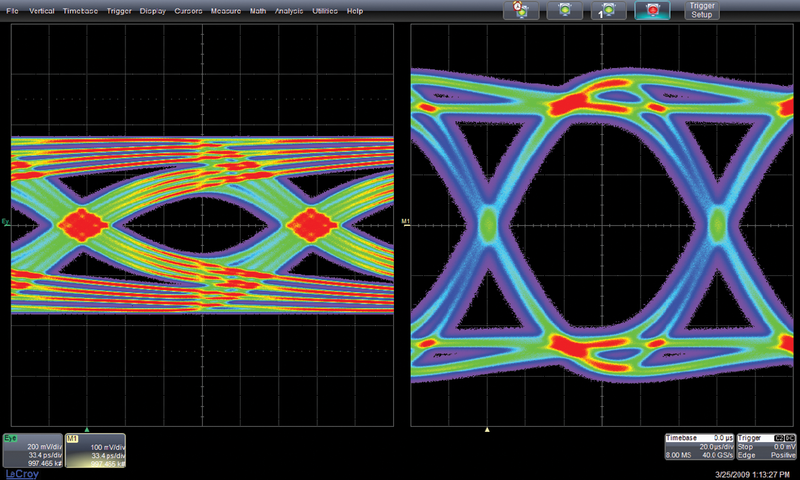 SDA II allows the user to quickly create eye diagrams utilizing the full record length of the oscilloscope and perform jitter analysis accurately, even when there is very long nonrepeating pattern jitter decomposition. This is critically important for properly distinguishing between random and deterministic jitter in systems containing a channel that severely stresses the signal. Additionally, Eye Doctor II provides the channel emulation and de-embedding tools that engineers need for next generation serial data standards. QPHY-USB3-Tx-Rx uses all of these oscilloscope features to perform the compliance tests as described by the USB 3.0 Electrical Test Specification. 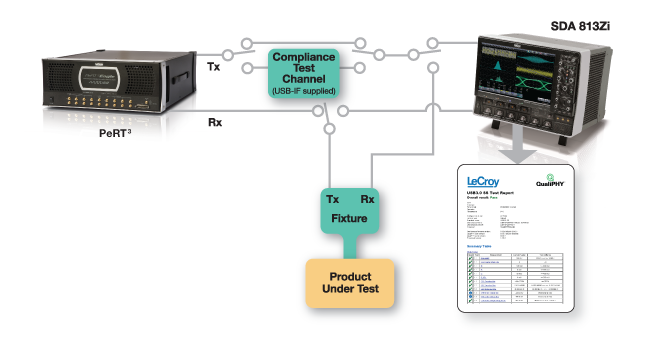 The Teledyne LeCroy QPHY-USB3-Tx-Rx automated test solution is the only solution that fully integrates transmitter and receiver testing into one test suite. Using the Teledyne LeCroy Protocol-enabled Receiver and Transmitter Tolerance Tester (PeRT3), QPHY-USB3-Tx-Rx has the ability to perform all of the SuperSpeed USB receiver tests as described by the SuperSpeed USB specification. Also, the PeRT3 can connect to the device under test, set the device to output the proper test pattern or enter loopback mode and output the proper test pattern. Then QPHY-USB3-Tx-Rx uses the SDA 813Zi oscilloscope to perform all of the SuperSpeed USB transmitter measurements as described by the SuperSpeed USB specification. All of this can be done simply with the push of a button. Additionally, since all of these tests are run from QPHY-USB3-Tx-Rx, the results of the transmitter test as well as the receiver results can be created in one comprehensive report. 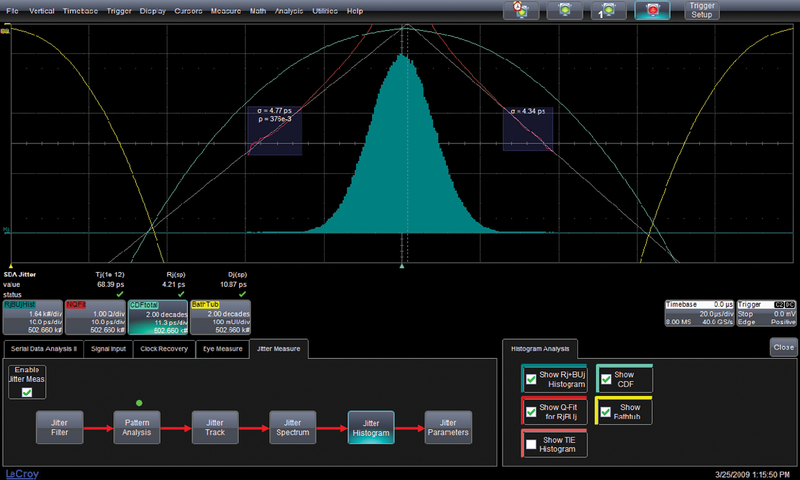 The Eye Doctor II analysis software allows the user to view their signal after Continuous Time Linear Equalization (CTLE). QPHY-USB3-Tx-Rx uses this functionality to create the eye diagram and measure the jitter after CTLE as required by the SuperSpeed USB Compliance Specification. 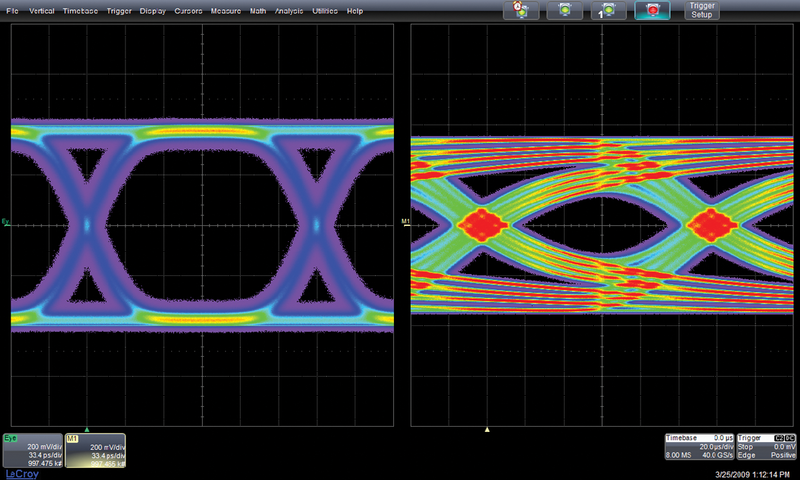 Teledyne LeCroy’s SDA II analysis software contains integrated jitter and timing analysis for clock and data signals. It allows analysis of data up to the memory limit of the oscilloscope and using X-Stream II technology, SDA II can display eye diagrams and jitter decomposition results up to 50 times faster than other solutions. Additionally, the specific PLL for SuperSpeed USB is selectable from a list of pre-configured PLLs. Lastly, SDA II can accurately measure jitter when there is a very long repeating pattern as is used in the USB3 by taking advantage of its very long memory or using a method that does not require the pattern to repeat allowing for measurements or small acquisitions. Additionally, the Eye Doctor II analysis software also enables channel emulation. For USB 3.0 testing, a design engineer will perform their serial data measurement at the output of the transmitter. However, the specification requires that the measurements be made at the far side of a reference serial data channel. To accomplish this they could either use a physical channel to make their measurement after the channel or they can use channel emulation to see what their serial data signal would look like if it had been transmitted through the channel. QPHY-USB3-Tx-Rx utilizes this functionality to automatically emulate the reference compliance channel prior to eye diagram and jitter testing.